Sometimes I just want to eat bread. 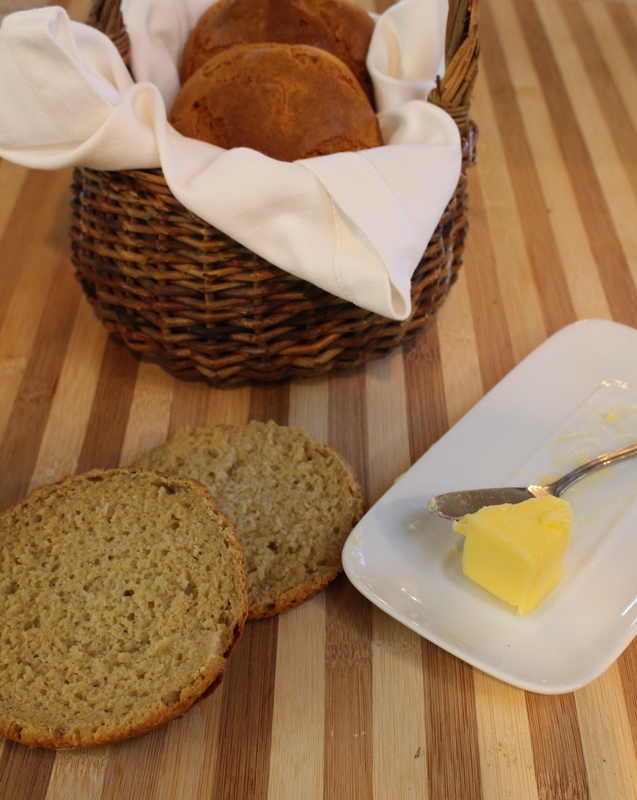 Soft, warm, chewy bread. Just thinking of the smell of bread toasting makes my mouth water. 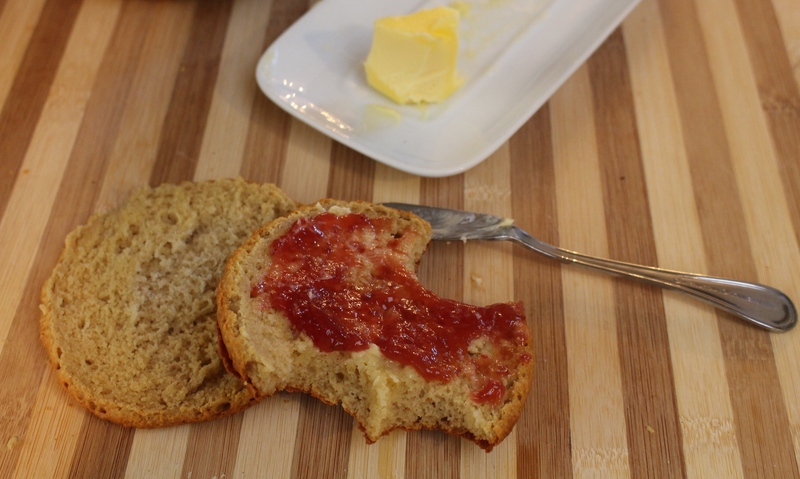 Especially when you slather on some butter and jam. I absolutely refuse to give it up. So because we can’t eat everyday store bought bread loaded with gluten, corn, sugar, yeast, etc. 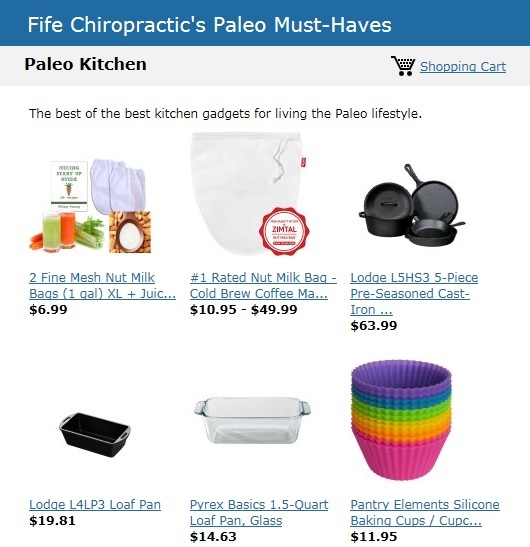 it was 100% necessary to create a basic paleo recipe that would be versatile and deliver on taste. That is why I decided to go the route of biscuits. You will see when you make these that you can use them for different meal choices. Of course they work great as a biscuit but they also can be used as hamburger buns and sandwich bread (I like to make scrambled egg sandwiches with them- yum!). Enjoy! Preheat the oven to 350 degrees. 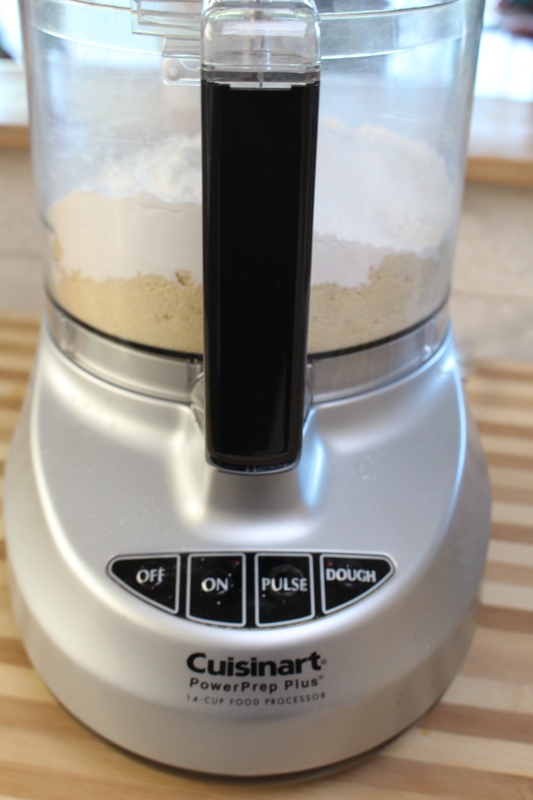 In a large food processor blend together the dry ingredients for 20 seconds. 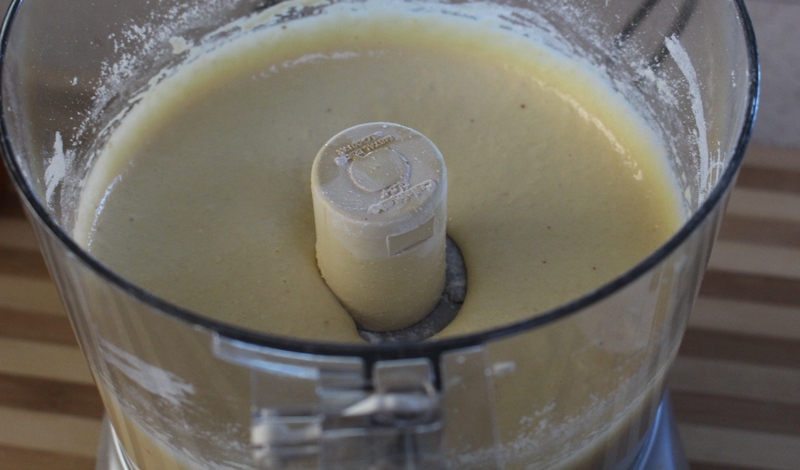 Add in the wet ingredients and blend for another 15-20 seconds. Line a cookie sheet with parchment paper. 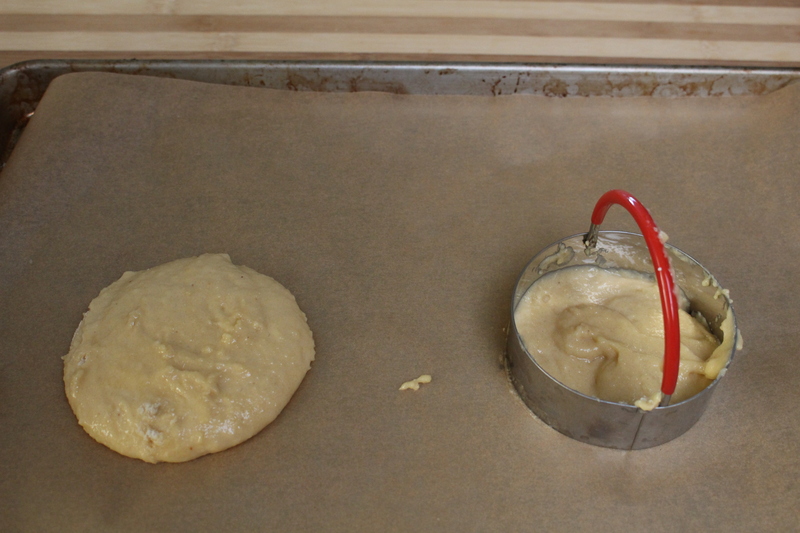 Place a 3 inch round cookie cutter or biscuit shaper onto the cookie sheet and spoon in the dough, filling half way. Lift up the cookie cutter. Space 2-3 inches apart and repeat until out of dough. Bake for 12-15 minutes. Make sure to check on them frequently after 10 minutes of baking. Once fully baked they will darken quickly and that will change the flavor from light to overdone.